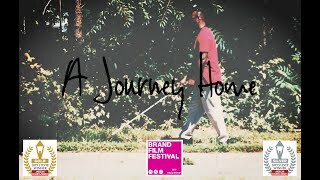 (PRLEAP.COM) Ashland, OR (03/20/2019) – Massif®, a world-leader in flame-resistant apparel for the U.S. Military is excited to announce the release of, A Journey Home, a new Massif Films™ Production. The film showcases National Industries for the Blind (NIB) through an inside look at four adults from around the country who have lost their sight for a variety of reasons. Trapped in a world of depression and anxiety, they all, in one form or another, struggle to find themselves and regain a sense of self-worth. Potentially facing a life of overwhelming challenges, they all found NIB. The professional training and personal support provided by NIB enabled each of them to find their new niche of contribution to our military men and women and our society as a whole. Their inspiration is undeniable in the film. "Massif has been an incredible supporter of IFB Solutions and our mission. Every day, we strive to find opportunities for people who are blind or visually impaired through employment, training, and services. This film showcases the lives of our employees who are proud to serve our military by creating quality products that keep them safe while serving our country," said David Horton, President, and CEO, IFB Solutions. Filmed by Jared Cruce Studio, Massif strives with this and future films, to broaden the company's brand vision, showcase partnerships, and ultimately portray the company's core values, beliefs, and direction. "Our goal is to share unique stories which coincide with the Massif mission through a visual medium. In A Journey Home, we set out to tell the story of some amazing NIB individuals. The result is an exhilarating film and gripping story of human perseverance," said Mike Walters, Marketing Communication Manager at Massif. Now in its 20th year in business, and building on the success of the short film, The Massif Story, Massif will continue their film efforts in 2019 as they increase their Massif Films library and share more of the fascinating stories that surround, and encompass their brand. Headquartered in Ashland, Oregon, Samtech LLC, dba, MASSIF is a leading supplier of protective apparel to the U.S. Military and other professionals who work in extreme environments. Massif's products include technical combat apparel, flame resistant soft shell apparel, and extreme weather layering systems. Founded in 1999, Massif joined the corporate family of Antex/Matchmaster, our longtime textile mill in Los Angeles, California, in 2014 and became a Woman Owned Small Business. With vertical integration and the capacity for rapid innovation from fiber, to fabric, to the garment, Massif continues to improve their agility and enhance their technical resources for future growth. Since 1938, National Industries for the Blind (NIB) has focused on enhancing the opportunities for economic and personal independence of people who are blind, primarily through creating, sustaining, and improving employment. NIB and its network of associated nonprofit agencies are the nation's largest employer of people who are blind through the manufacture and provision of SKILCRAFT® and other products and services of the AbilityOne™ Program. For more information about NIB, visit NIB.org.